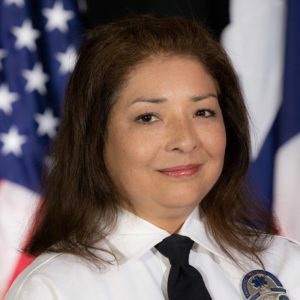 Dena has been in public safety service for 23 years. She began her public safety career as a Police Dispatcher for The University of Kansas Police Department (Go Jayhawks!). During a ride-out while working at Southlake DPS for her EMT-B training, she answered the 911 call, dispatched the responding unit, and ended up transporting the patient with that unit and its crew to the hospital. Many only ever get to experience one side or the other of a 911 call; rarely both. In addition to reading and taking walks along the beach, Dena loves to quilt for her grandkids, Kaden, Brooklynn, Emma, Tristan, and now baby Peyton… please no more for now, I need to get caught up!